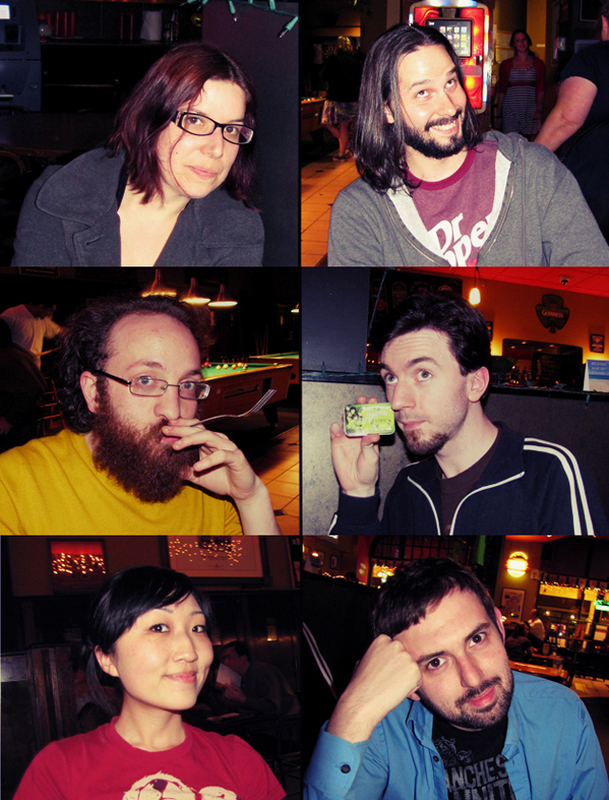 This is my pub trivia team. We are a juggernaut of nerd knowledge! Strong points: comics, cover songs, musicals, wordplay. Weak points: chemistry, sports (except for cricket), the song ‘Gin and Juice’ (there was an entire round on this song). Gavin is holding absinthe mints, a prize for knowing the email question. This entry was posted in life! and tagged pub trivia. Bookmark the permalink.